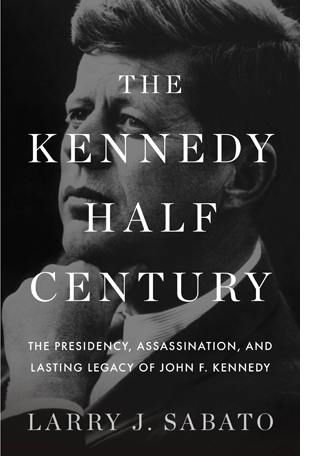 Hundreds of books and studies have been written about the Kennedy assassination. Alert readers have noticed that their authors often use the words “alleged,” “claimed,” and “supposedly” -- just as I have done in this book. The debate over the Kennedy assassination is one of the longest-running sagas in American history, involving hundreds of subplots. Facts and quasifacts have dribbled out over five decades. Quite a few of these “facts” are unverifiable or only partially verifiable -- which does not necessarily mean they are incorrect. Stories are told by respectable and dubious witnesses alike that are based on murky memories of long-ago events. Some legitimate evidence is contradictory. The cast of characters in this historical enterprise, many of them colorful and quirky, could fill a bookshelf of Shakespearean plays. The search for the truth of JFK's assassination is like the quest for El Dorado, the mythical city of gold that tantalized European explorers in the sixteenth century. Inspired by vague clues and Amerindian legends, these explorers spent years in the wilderness hoping to strike it rich, but often died of disease and starvation instead. This book is a synthesis of what we know after fifty years, not a misguided attempt to solve the insoluble. Too many cases are called “the murder of the century,” but other than the killing of Archduke Franz Ferdinand, which sparked the death of millions in the Great War, the slaying of John Kennedy may well qualify for the twentieth century's slot. Few would question that it is one of the most tangled, tortuous, and intimidating political executions of all time. In these pages I have tried to do justice to the accumulated evidence, and I have attempted to weigh it fairly in evaluating the major theories about November 22 that have been proposed. This has been a difficult undertaking for two reasons. First, Americans did not get all the facts at the time when the assassination might have been solved to most people's satisfaction. Many powerful forces were determined to keep the public from learning the full story, and they handicapped the initial investigation lest it uncover the entire embarrassing truth. Everyone can now see that obscuring the government's efforts to kill Fidel Castro and other foreign dictators was part of the motivation, but there was more. Whether these powerful figures simply wanted to avoid blame for having missed obvious signals about Oswald's potential as an assassin, or were trying to obscure their outright culpability in a more direct sense, will be argued for years to come. Second, a comprehensive appraisal of November 22 is impossible because many government documents are still classified. The public has not been trusted with the entire record about the murder of the thirty-fifth president, when the forty-fourth is sitting in the White House. Many of these documents are finally scheduled to be released in 2017. Americans may or may not learn anything new at that time. One doubts that intentionally incriminating paperwork will be found intact at this late date. The true outrage is that it will have taken more than a half century for the people's government to reveal these taxpayer-produced documents about a long-ago seminal event. Advances in technology may eventually permit researchers to do more with the physical evidence that remains, such as the Zapruder film and the existing still photographs of the crucial moments. One vital piece of evidence, the police Dictabelt recording that was thought to have preserved the sounds of the shots in Dealey Plaza, was my choice for advanced analysis. For a long time, the evidence appeared to suggest that, by accident (via a stuck microphone on a policeman's motorcycle in the motorcade), the sounds of the assassination were recorded back at Dallas police headquarters on a Dictabelt -- a recording device of the era that was primitive but fairly reliable. The Dictabelt was preserved by the Dallas police because it recorded various instructions given by its officials during the motorcade. In 1976 a radio program director, Gary Mack, who was interested in the Kennedy assassination and had recently moved to Dallas, learned of the Dictabelt's existence. An audio specialist, Mack asked a question no one had thought to pose earlier: In addition to routine police commands, could this Dictabelt have also recorded the shots fired at JFK? If so, could the Dictabelt be the long-sought Rosetta Stone that could at least reveal how many bullets had been fired and from what direction(s)? During its investigation in the late 1970s, the House Select Committee on Assassinations was informed of the Dictabelt's existence and potential. James Barger, a well-known acoustics expert with a Harvard doctorate in applied physics, was hired to analyze the Dictabelt. Barger organized and executed an elaborate plan to have police sharpshooters target sandbags every few yards on Elm Street in Dealey Plaza. The street was closed on a Sunday in August 1978 and sensitive microphones were placed around the plaza to record the echo patterns from a shot into each sandbag from various locations, such as the Depository's sixth floor window as well as the grassy knoll/picket fence area. Barger knew the motorcade's speed and thought he had some idea of the placement of the motorcycle in the motorcade. The sound patterns on the Dictabelt seemed to match up well with some of the simulated shots. Barger concluded there was a 99.5 percent probability of gunfire on the Dictabelt. Further, Barger saw four gunshots in the echo patterns that matched the Dictabelt's sounds, three of them coming from the Book Depository and one from the grassy knoll. When Barger first interpreted what the Dictabelt showed, “It horrified me,” he said. He instantly realized its implications. Barger was cautious in his statistical interpretation of the sound patterns, and he would only say that there was a 50 percent probability that all four shots were real and not an artifact of a fifteen-year-old Dictabelt. The House Committee then engaged two academics, Mark Weiss and Ernest Aschkenasy of the City University of New York, who further refined Barger's research, concluding that the probability of four shots, with one from the grassy knoll, was 95 percent or better. The House Committee was stunned. It had been preparing to endorse the basic finding of the Warren Commission Report, that Lee Harvey Oswald was the lone assassin, but reversed course and declared JFK's murder the result of an undefined conspiracy. Naturally, no conclusion this spectacularly revisionist was going to stand unchallenged for long. Even during the House hearings, police motorcyclist H. B. McLain -- the cop who was identified as having the stuck microphone -- insisted he was not where Barger's analysis said he should be. As former chief counsel and staff director of the HSCA Robert Blakey admitted, “If it could be proved that no motorcycle was in the predicted location at the time of the shots, then serious doubt would be raised about the reliability of the acoustics project.” While one analyst later concluded that McLain was correct -- he was not in position to record the gunfire in the prescribed location -- others have disagreed, and this has been an unresolved matter. In addition, various researchers have claimed that the Dictabelt had odd voice-overs out of sync with the timing needed for the assassination sequence; that the Dictabelt had deteriorated to the point where it was not reliable; and even that the Dictabelt used for Barger's analysis was not the original but a duplicate that had been tampered with. This is no airy academic dispute. Either the House Select Committee on Assassinations was correct when they asserted that there were too many shots (four) to have been fired just by Oswald with his bolt-action rifle in the shooting sequence on the Zapruder film. Or the HSCA was wrong when it claimed the Dictabelt was the long-sought proof of a conspiracy, with the evidentiary key to more than one marksman and the shooters' positions in Dealey Plaza. However, new technologically advanced audio research conducted for this book on all the Dallas police recordings of the Kennedy assassination conclusively proves that the Dallas police motorcycle with the stuck microphone was not traveling as part of the presidential motorcade at the time the shots were fired at President Kennedy. Thus, the 1979 conclusion by the House Select Committee on Assassinations is wrong. Not only does the Dictabelt not prove the Committee's assertion about a shot from the grassy knoll, we can find no evidence of gunfire at all, and thus it cannot be used to prove either that Oswald was the lone gunman or that there was more than one shooter in Dealey Plaza. Previous scientific studies of the Dictabelt have either been fundamentally flawed because of a belief that the motorcycle was an integral part of the presidential motorcade, traveling close to President Kennedy's limousine, or because of their incorrect or nonexistent identification of the officer with the stuck microphone. Our research 5 demonstrates that the police officer with the open microphone was traveling at a high rate of speed at the time the slow-moving presidential motorcade progressed through the streets of downtown Dallas. The officer was well past the Dealey Plaza site and in the vicinity of the Trade Mart, over two miles from Dealey Plaza, at the time of the assassination. Furthermore, following the shooting, the presidential limousine carrying the dying president approached and then rushed by this officer and motorcycle on its way to Parkland Hospital. At this moment, the motorcycle was parked and idling. The sounds of the presidential entourage gunning toward Parkland are unmistakable, and they passed the stationary motorcycle within sight of the officer. There were no other siren-equipped emergency vehicles of any type operating in Dallas at this critical time. In addition, we believe we have been able to identify the officer with the stuck microphone. He is Willie Price, who had joined the Dallas police department seventeen years earlier and was much liked and respected within the force. Earlier on November 22, Price had been assigned to monitor the corner of McKinney and Harwood Streets, about three-quarters of a mile from downtown Dallas. After Kennedy passed there without incident, his instructions were to go to the Trade Mart, which he did. Our analysis strongly suggests it is his motorcycle engine that is heard on the Dictabelt running at high speed. Once at the Trade Mart, Price was located in the parking lot, awaiting the president's arrival. Why is the officer with the stuck microphone very likely to be Price? Every piece of available evidence points in his direction. Our audio analysis demonstrates that the officer with the stuck mic is well ahead of the motorcade at the time of the assassination, where Price is indisputably positioned. The sounds of the limousine carrying JFK screaming by Price's stationary post at the Trade Mart are heard precisely where they should be, a few minutes past 12:30 p.m., and the mic becomes “unstuck” just in time for Price to talk to police headquarters once at Parkland. More important, on that very morning, Price had been given a substitute motorcycle to use on November 22 that had demonstrated prior problems with a stuck microphone. Finally, Price himself was convinced that his cycle was the source of the difficulty, as was the police dispatcher on duty, Jim Bowles. This was not a long-delayed revelation. Price drew this conclusion within hours of the assassination, and he indicated as much to other Dallas officers at Parkland and also to Bowles, who agreed with his assessment. As just indicated, instead of turning into the Trade Mart, the president's limousine and accompanying police vehicles whizzed by Price's vantage point on its way to Parkland, just over a half mile further down the highway. Price and the other officers were ordered to leave the Trade Mart and go to Parkland; as it happened, Price intercepted and accompanied the car carrying Lyndon Johnson on its journey to the hospital. LBJ's car lagged behind the presidential limo. Price was also among the officers at Parkland who assisted in moving Kennedy's body into Trauma Room One, and then guarded the room from the outside to prevent unauthorized entry. Now that we know the location of the stuck microphone, something else is obvious. Given the distance of Price's open microphone from Dealey Plaza -- nearly two and a quarter miles at the time of the assassination -- it is unlikely in the extreme that gunshots will ever be detected on the Dictabelt recording, no matter how sophisticated sound analysis becomes in the future. Keep in mind that the motorcycle's microphone quality was primitive, on par with a telephone receiver, and that a blunt stylus was simply recording sound impressions on a waxed plastic belt back at police headquarters. While gunshots in the immediate vicinity of the microphone would have been loud enough to be recorded on the Dictabelt, shots more than two miles away were unheard and unrecorded. Had H. B. McLain in Dealey Plaza been the motorcycle officer with the stuck mic, as the HSCA insisted, the Dictabelt could have answered the basic question of the number and location of shooter(s). Willie Price's motorcycle at this substantial distance from the assassination could not. Therefore, the long-hoped-for Rosetta Stone of the Kennedy assassination is nothing of the sort. And the much-publicized conclusion of proven conspiracy by the 1979 House Select Committee on Assassinations was deeply flawed and demonstrably wrong. What many believed was the best remaining opportunity to solve the Kennedy murder definitively by means of hard evidence has turned into yet another dry well in a half-century quest to illuminate fully what happened on November 22, 1963.